Last Spring while travelling in England on the drive up to Cley Next the Sea, my friend Michael and I had stopped for lunch at the White Horse Inn in the tiny village of Brancaster Staithe. This inn has gorgeous views across tidal marshes and sandy beaches and their food and locally brewed Oyster Catcher beer are excellent. Here, we had a mega portion of mussels each, literally a bucket full, and they were probably the very best mussels I have ever eaten. They were done simply- with a white wine, cream and garlic sauce and hunks of bread on the side. There must have been a hundred mussels in my pot that day and I ate every last one of them. Needless to say, I love mussels. But I must confess, I have never made them at home. I’ve never even thought to make them at home. It was always one of those things you order in a restaurant- like lobster or steak tartare. An indulgence and something you splurge on! This recipe was incredibly easy. Once I got over the thought of cleaning them at home, soaking and rinsing and taking the beard off, it really was a simple process. 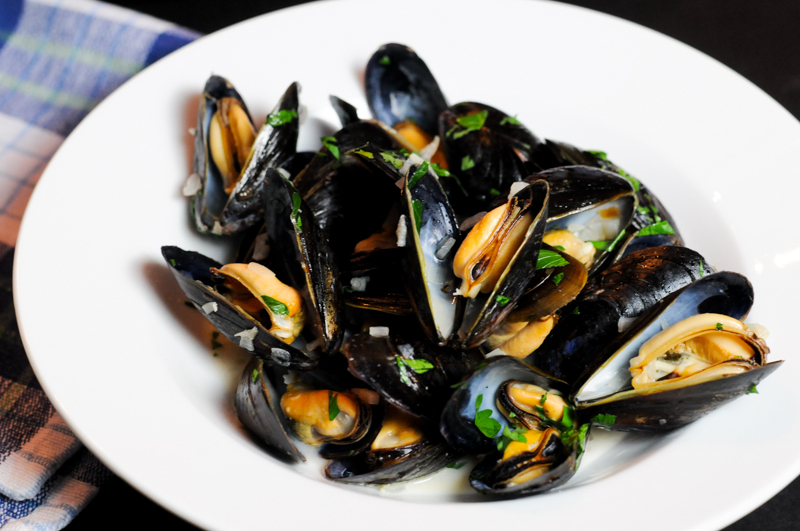 Moules Mariniere or Fisherman’s Mussels is actually a quick, easy and inexpensive dinner that only seems extravagant. 2. You really should cook mussels the same day you buy them to ensure freshness, but if you do have to store them, if even for a few hours, place them in a bowl. Don’t store them in a plastic bag. Remember, they are alive and you really want to keep them that way. A bag would suffocate them. 3. To clean mussels, soak them in a bowl of fresh water for 15 minutes, scrub any barnacles or dirt off the shell and rinse them. Remove the “beard” (a long dark frizzy string) by pulling it towards the hinge. It may be hard to do, and you may have to use pillars or brute force! Drain the dirty water and sand from the bowl and add fresh water and let them soak again for another 15 minutes. Rinse and they should be ready to go. 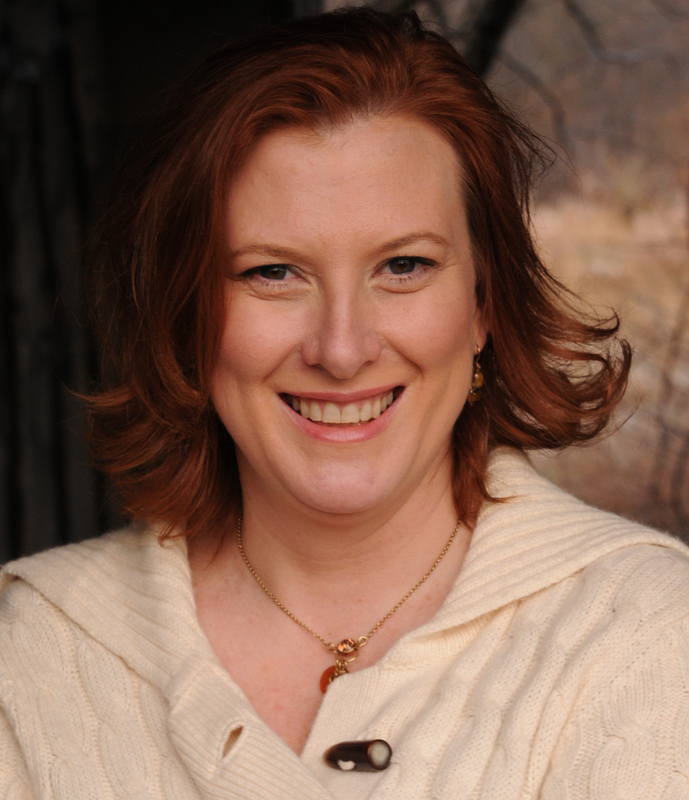 I did make a few minor adjustments to Dorie’s recipe. Right at the end I added a bit of cream to the broth and I left out the lemon peel. I was trying to recapture the flavor of those mussels from Brancaster. These didn’t quite compare, but they sure were good nonetheless and I am excited to make these again very soon! * The R Rule, while it may folklore nowadays with suppliers from all over the world providing shellfish to stores and fishmongers, it’s still practiced in some parts where shellfish are locally harvested. Basically, in warmer months- May-August – the water temps rise and red tides, vast blooms of algae that collect along coastlines in warm weather, can spread toxins that are soaked up by the shellfish. Also, summer is a time when shellfish spawn. As any oyster lover (not me!) can tell you, a fertile oyster apparently turns thin, milky and soft — kinda more gross actually! So unless it’s been shipped in, avoid the local oysters in the summer. And of course, shellfish can spoil easily on a hot day if not stored properly. This won’t really make them toxic but it will make them stinky and might cause some serious tummy troubles. We loved them too! Nice to be joining FFwD after a long hiatus! Beautiful photos! Glad you enjoyed them (I did too!) I was like you, only made mussels at home the first time w/the chorizo and mussels Dorie recipe from a couple Spring’s ago — so silly, as it is such a delicious and easy meal! Have a great w/end! Nicely done! And you’re right – seemingly extravagant, but really quite simple and inexpensive! Definitely a new favorite. Wow, these re so vibrant and colorful! I had to cook mine more to open and still they did not open so wide to get a blotch of that lovely orange off of each one. Great tips too. I made my fish monger pick them one by one to make sure they were closed and alive. These were quite simple and looked so wonderfully extravagant! 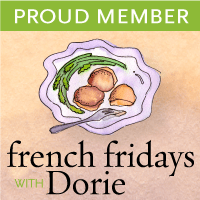 My husband really enjoyed French Friday’s this week! 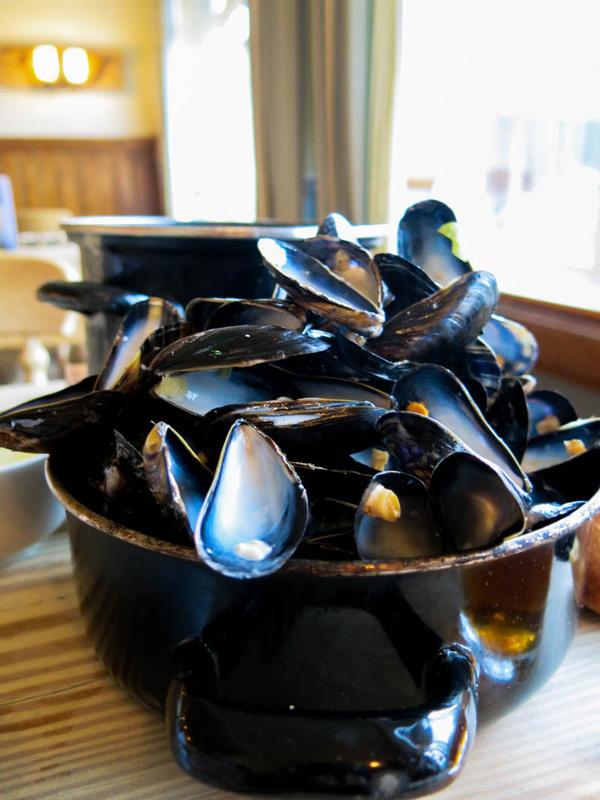 Very nice: the mussels – that huge pile of it! and the photos! In the midst of the shortage of fresh produce during the winter season, it is good to know at least one food is seasonal. Love the bowl of shell carnage. I always thought of mussels as a summer food, but what you said makes sense.. Love the addition of lemon peel and cream. Great reminder about the “R” Rule! These are so simple, and best consumed seaside at a restaurant – but darn they make a great meal at home! I have the same thoughts about lobster and steak tartare. Love both but only order in restaurants. I do make mussels at home but not very often. Only for Dorie. And I agree with you. That’s a mistake. This week’s recipe seemed to bring up some good memories for all of us. Glad you liked these and much as I did. And, glad you “know the rules” and will continue making them at home. Aren’t you glad you finally tried cooking these at home? You are so right that mussels make a dish that only seems extravagant. What a treat to be able to give yourself. Lovely presentation. Thanks for the tips – very useful. Nice photos! Thanks for mentioning the R Rule, I had forgotten about it. Thank you so much for the list of helpful tips. I’m never sure how to handle fresh mussels, or clams.